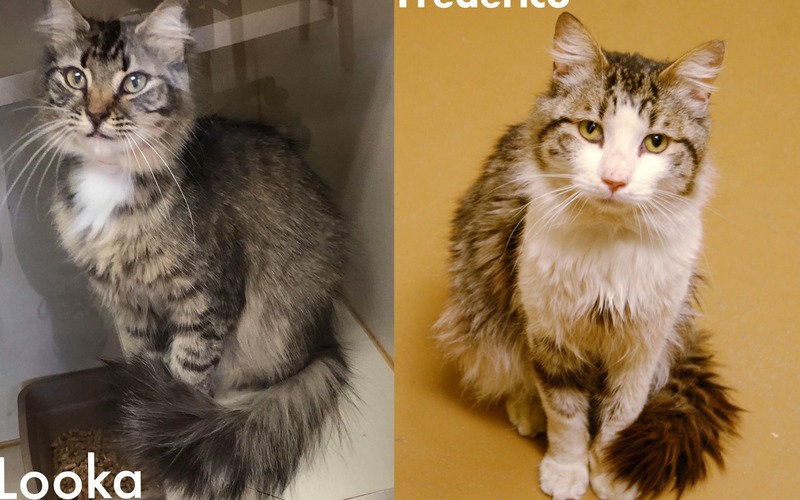 Frederico and Looka were facing an impending death sentence through no fault of their own and we at Team Dahlonega were determined to find a rescue for them that takes FELV positive cats, and we did. These two precious kitties are headed to a new beginning with Cat Tales Rescue. Thank you, Rescue Army. And thank you, Cat Tales. Things are looking bright for these two sweet souls. Pledge honored. Thank you for helping these cuties.